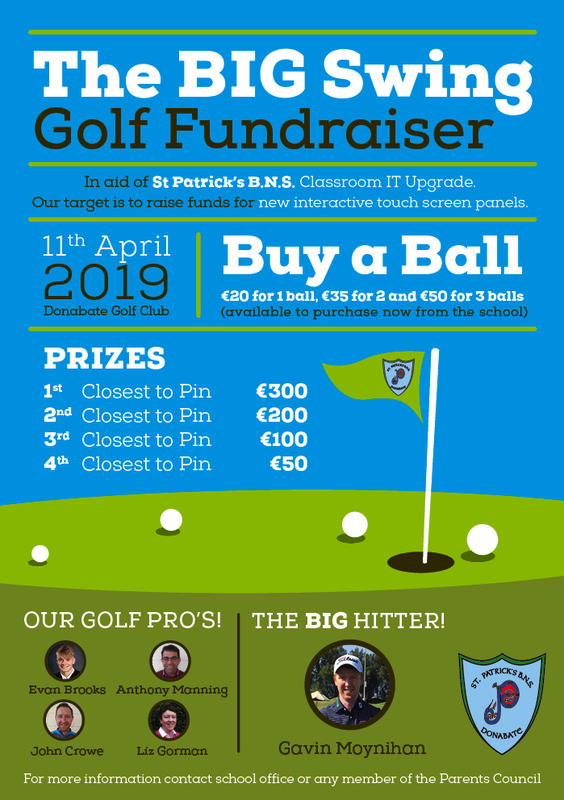 In aid of our classroom IT Upgrade – our target is to raise funds for new interactive touch screen panels for classrooms, on 11th April Donabate Golf Club. Thank you to all our Parents Councils, friends, supporters, golf pros and bit hitters! 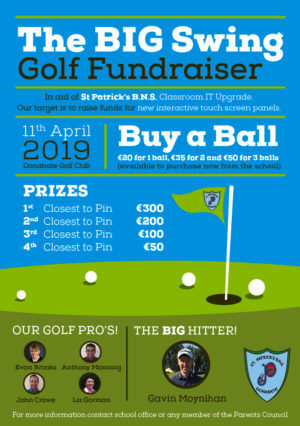 Buy A Ball, €20 a ball, €35 for two or €50 for 3 balls. If you would like to donate via pay pal please follow the link above.